Deutsche Bank is bracing for a record pre-tax loss of 6 billion euros (£4.40 billion) in the third quarter, as new boss John Cryan is drawing a line under his predecessor\'s performance. Deutsche Bank is bracing for a record pre-tax loss of 6 billion euros (£4.40 billion) in the third quarter, as new boss John Cryan is drawing a line under his predecessor's performance. The bank, Germany's flagship lender, is taking massive writedowns at its investment banking unit and on two assets earmarked for disposal, its Postbank retail bank and the stake it owns in China's Hua Xia Bank. 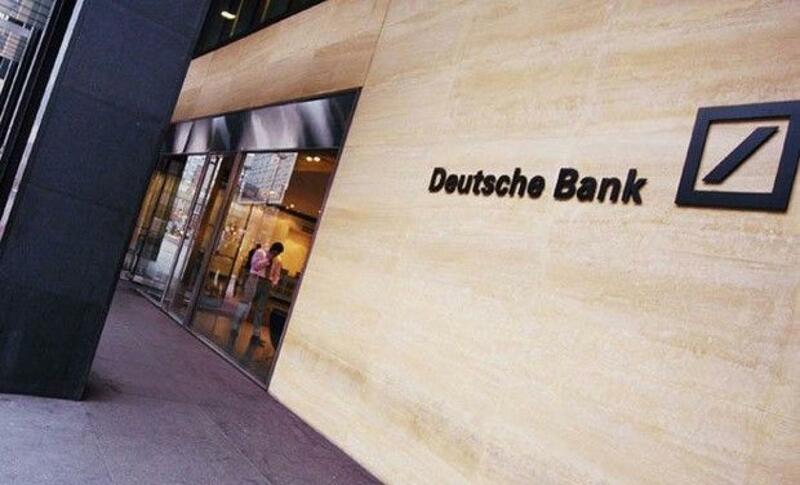 It is also setting aside more money for litigation, Deutsche Bank said in a statement late on Wednesday. Deutsche is in the midst of a sweeping programme to shrink its global footprint to a regional one under Cryan. Cryan, who took control in July with a promise to cut costs, is readying plans to cut roughly 23,000 jobs, or about one quarter of total staff, sources told Reuters last month. After taking the helm, he warned staff that performance was "nowhere good enough." Deutsche's share price has suffered under stalled reforms and rising costs on top of fines and settlements. The bank has been dogged by legal woes, including investigations into possible manipulation of benchmark currency rates and dealings with Iran. After initially sticking with an expensive universal banking model, it has reined in ambitions and worked to trim operations. After tax, Deutsche said, it is expecting a loss of 6.2 billion euros for the quarter. Without the impairments of goodwill and intangibles it would have lost only 400 million euros in the July to September period. Analysts on average had expected about 1 billion euros in third-quarter net income, based on three estimates, according to Thomson Reuters data. Deutsche Bank investors, which have enjoyed stable dividend payments since 2009, must brace for a reduced or suspended dividend payments for 2015, the lender said. The bank's capital cushion to weather potential crises is, however, not taking a major hit. Despite the writedowns, the capital ratio is expected to stand at 11 percent when measured by the most stringent of measures prescribed by regulators, the bank said. That compares with a CET1 ratio of 11.4 percent in the second quarter. The lender also took a 600 million euro writedown on its 20 percent stake in Hua Xia Bank which it also plans to divest. As in the second quarter, the bank is setting aside another 1.2 billion euros for fines and settlements, adding that further events could affect final litigation provisions for the third quarter. Investors expect Cryan to lead big changes at Deutsche, which is the lowest-ranking global investment bank when measured by its price to book ratio. Cryan, however, is unlikely to present "big bang" reforms on Oct. 29, when the bank reports results and plans to provide more details of its so-called Strategy 2020. Instead it says it is accelerating existing plans to shed assets and exit countries, people familiar with the bank have said. Cryan's ability to reform is constrained by factors that include costly litigation and turmoil in Asian markets. Also, his job is made more difficult because Deutsche is the last big investment bank to try to slim down, long after rivals such as UBS, Barclays and Credit Suisse.